2. In large skillet, fry hot dogs with onion and butter over medium heat. Add cheese, water, and soup. Cook until cheese is melted, stirring constantly. Stir in cooked pasta and cook until heated through. Robyn's notes: this is purely comfort food, I do not claim this as a healthy recipe. Ever since 1981, my family has used this as a go-to meal when everybody is tired or stressed and needs something quick and filling. See "Using Up Ingredients" at the top of the page for suggestions for using the other half of the can of soup. 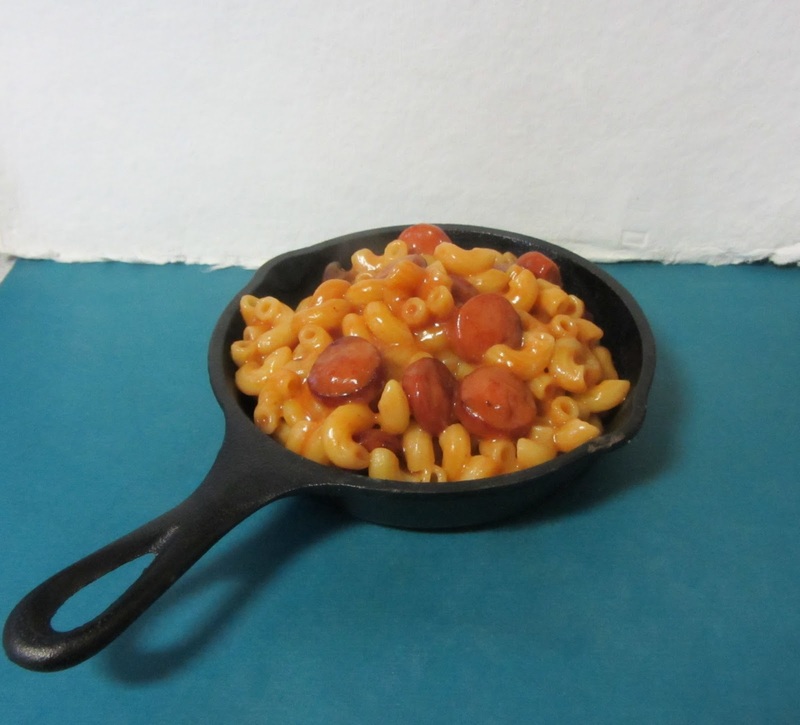 Originally this recipe called for "sp-o-ghetti rings™" which I've never seen in stores (like the pasta in spaghetti-o's), we really just use whatever small pasta we have on hand.